Only in the UX industry will you find a week-long celebration of enthusiastic UX practitioners (because there’s just that many), delicious food, and live music combined. With a field that’s rapidly expanding, and proving to be attractive for many interdisciplinary professionals, it seemed only natural that co-founders Robert Barlow-Busch & Mark Connolly decided to program their conference as a festival. With Fluxible fast approaching (September 17th -23rd 2018), we wanted to sit down and learn more about what’s in store at this year’s event! Tell us a little bit about Fluxible. Who should check it out! Robert: Fluxible is for everyone who cares about delivering a great user experience through products and services. 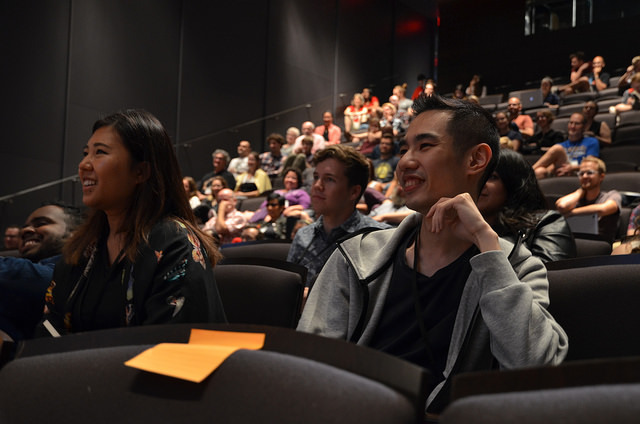 It started as a primarily regional event for the Toronto-Waterloo corridor, but it has grown over the years to become “Canada’s UX Festival” for our community across the country. So this should be seen as a festival as opposed to a conference? Mark: Well, we started it as a conference in 2012 and since then, we’ve grown into a week-long series of events – festival seemed like the right word for that. 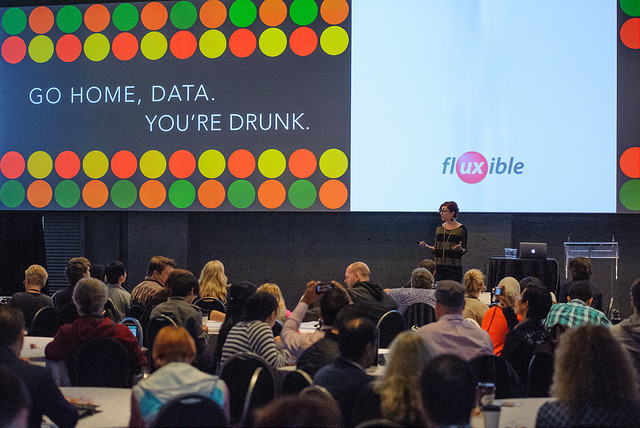 There’s the two-day Fluxible Conference on the weekend (22nd–23rd September) that remains the big showpiece. There’s a day of pre-conference Fluxible Workshops. 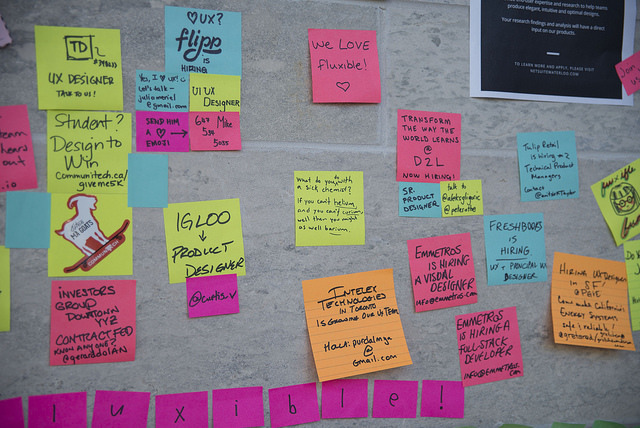 Then there’s also five days worth of free Fluxible Meetups leading up to the weekend. Robert: We approached Fluxible like a design project and defined specific goals and principles for the entire event. I remember talking about how the concept of a “festival” captured the feeling we were going for, as we didn’t want this to be like a standard trade show or industry conference. And honestly, as Fluxible organically evolved, some of its more unusual elements started getting noticed — so we decided to fully embrace the idea. By approaching it this way, we gave ourselves permission to take some risks and try some things that wouldn’t fit in a typical conference. Mark: It’s absolutely more lively as a result. As Bob mentioned, we had a set of design principles, and one of them was to treat the entire thing like we were programming a festival instead of a conference. We were thinking of music festivals right from the beginning, and had incorporated music into the conference program. For instance, at the end of every presentation on stage, we have a solo musical performance from a different performer. It helps break the day up, and it absolutely changes the feel of what we’re doing. Other additions are great coffee and great beer. 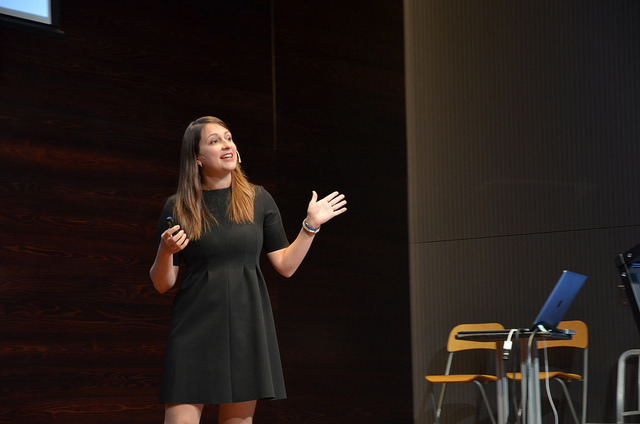 Why did you feel the need to build a conference around UX? M: Because there wasn’t one. Over the years, as Bob and I were co-running the local chapter of the Interaction Design Association in Waterloo, people would ask us, “When will you do a conference?” There was local demand and nothing happening about it here in Southwestern Ontario. 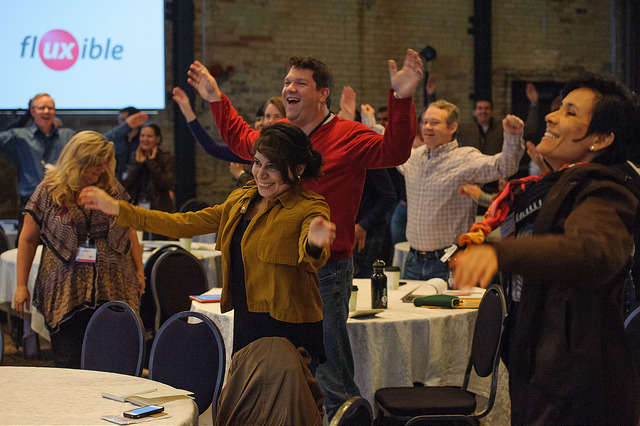 In 2012, when we staged the first edition of Fluxible as a two-day conference, the landscape was not what it is today. It wasn’t immediately obvious that this sort of conference was necessary, but it was obvious to us. What drew you into the world of UX? M: Whether you’re a researcher or a designer, there’s a lot of different paths into it. Everyone’s got their own story as to how they entered the field. Our particular story is that, every year we’ve pulled together this community of people who are genuinely interested in the practice of human centered research and design. It’s a space that allows people to share their interesting stories on why and how they got here. R: That’s a great way to answer the question, because UX attracts people from all kinds of interesting places. For me, what I love most about UX is how it blends interests in technology and people. It’s an ideal career if you want to keep one foot in a technical discipline like engineering, and the other in social science or the humanities. M: To expand on that, because we have all of these diverse backgrounds, you get these collisions of experiences and expertise. Ultimately what UX people have in common is that they’re curious about creating great experiences, and they’re generally pretty open to learning from each other. 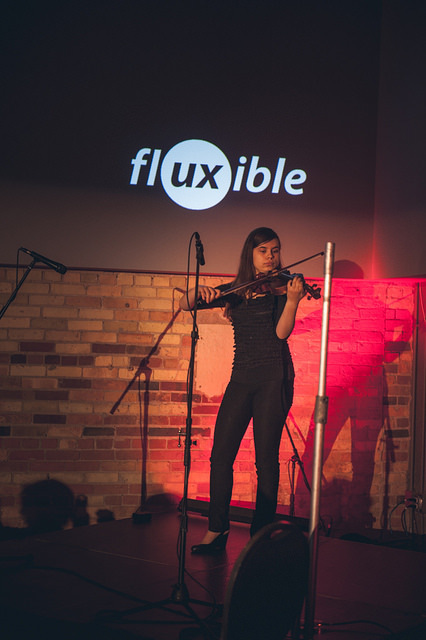 So Fluxible probably encourages sharing our diverse representation and backgrounds. R: Yes. One of the features of Fluxible has been that every year, we bring one or two speakers to the program who are not directly from our field. Some of these speakers have remarked how our community is really amazing compared to others they’ve experienced. As a group, we’re curious, open-minded, and interested in making a positive difference. M: To give just a few examples from previous years: we’ve had a designer and maker of woodworking hand planes; we’ve had a dramaturg from the Stratford Festival; and last year we had a pair of chefs talking about creating food experiences while preparing meals as a part of their presentation. We bring these people in and our community gets it, even if the connection to UX isn’t initially obvious — they come to understand it. What is one common misconception about UXRs/UXDs? M: I recently had a discussion with someone who works as a UX Designer who told me that the team they work with still consider UX more in the realm of visual and graphic design added on to the final product. So it’s this notion that UX is more of a superficial, visual based, last minute addition. Also, user interface development and user experience research & design often end up being considered the same. R: If we zoom out, a related misconception is that user experience is mostly about defining solutions. That’s not entirely wrong, but once you get into the field, you realize that the hardest part of the job — in fact the most important part of the job — is to really understand the problem. Could you give us a sneak peak into what you have planned for the conference? 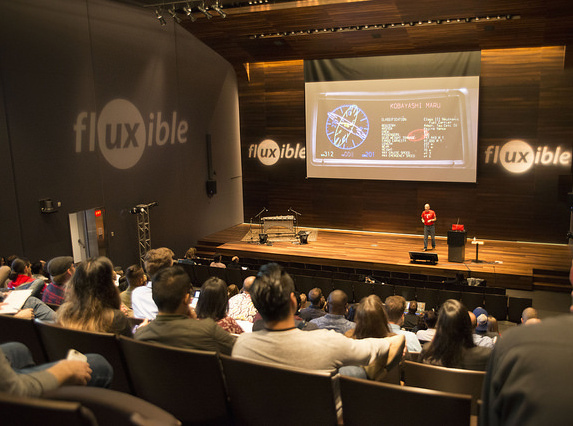 M: This year, we will be presenting the Fluxible Education Summit. It’s a two-day event that we quietly prototyped last year. The first day is dedicated to high school students, so they can gain exposure to some of the ideas around creating a great user experience. We’ve partnered up with Wilfred Laurier University and the students in their UX degree program to bring high school students into the summit and learn more about UX. The second day will bring together design educators to consider ways to improve design/UX education. Any advice for people looking to break into the field of UX? R: Get involved in the community. If you’re interested in UX, take advantage of every opportunity you’ve got. Go to your local meetup, join online groups on Facebook or Slack. You’ll make some good connections and you’ll learn more about the field from some great folks. M: Get a handle on specifically what you would be interested in. Your experiences and expertise should align with the path you’ll take moving forward in UX. 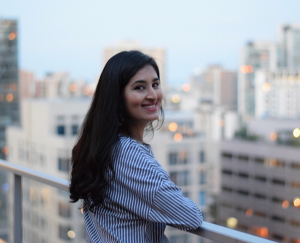 For example, if you’re interested in user research, you have to figure out what skills and competencies you have that that role requires, or determine how you’re able to acquire them through your own work, education, or volunteering. You have to bring some skills to the game. As UX research and designers, we are constantly learning. What are some of your favourite tools or resources that you like to keep on deck to help that process? M: Conferences are a really great way to learn from some really smart people! When Bob and I started this, we programmed a conference that we wanted to attend. In fact, if you search past Fluxible programs, look up the speakers and search for their writing and personal or professional websites. They are really good; that’s the reason we bring them to Fluxible! R: With this field, most of the folks in it are digitally literate and pretty active on Twitter or Medium. People in our community are generous with sharing their wisdom online, so there’s lots to learn on both of those platforms. With a conference as popular as this, it’s safe to say the field has developed over time. How do you see the state of UX evolving over the next few years? R: I feel like we’re starting to see the rise of UX research. For the longest time, research has been really hard to get support for. But there’s a shift in thinking across business and the industry. People now understand that UX can help tackle tough strategic problems. As a result, we’re seeing more companies value the user researcher’s role in framing problems well, because that’s where everything starts. M: It’s going to change because the kinds of experiences that we’re creating for devices and services today are not necessarily the kinds of experiences that the devices and services of tomorrow will need. Think back to pre-2007 — think of some of the massive services and platforms of today that didn’t even exist back then. There will be new contexts that come to prominence that we’re not going to know right now. It will require creating different experiences than the ones that people are thinking of when they think of UX right now.